RenewEconomy’s Deputy Editor Sophie Vorrath reports on recent milestones reached by Australia’s largest hybrid renewables microgrid project. 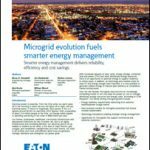 The plans of Western Australia regional utility Horizon Power to develop what it claims will be Australia’s largest hybrid renewables microgrid are edging closer to completion, after the awarding of the utility-scale solar and battery storage contracts. The project aims to see the coastal Pilbara town of Onslow – a launching base for the massive Wheatstone LNG project owned by Chevron – powered by at least 50 percent renewable energy, and likely up to 70 percent. 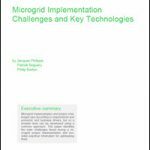 The microgrid, once completed in mid-2019, will combine a new 5.25 MW gas-fired power plant, distributed and utility-scale solar, and battery storage, each element of which is being contributed to financially by Chevron. With the gas fired power station nearing completion, Horizon said on Friday that the contract for the solar farm had been awarded to Complete Power Systems (CPS) National, to be built adjacent to the new power station. The utility-scale battery, it said, would be built and installed by Contract Power Australia within Horizon Power’s new zone substation, about 1.8 miles from the Onslow town center. Horizon Power managing director Frank Tudor said the battery would be used to help manage a range of events such as overcast conditions and peak electricity demand, ensuring a smooth supply of power to the Onslow community. “This is demonstrating our capacity to deliver the safe and reliable integration of renewable energy into our existing systems throughout regional and remote Western Australia,” Tudor said. Finance for the Onslow project has been provided by the WA state government with a significant contribution from the Chevron Wheatstone project, under the terms of its agreement with the state. social and critical infrastructure projects in Onslow including health, recreation and utilities. The Wheatstone project, situated around 7.4 miles from Onslow, is tapping vast natural gas reserves in the region and has also involved developing two liquefied natural gas (LNG) ‘trains’ to export the product to overseas markets. Completion of the solar farm and battery storage system is expected in the first half of 2019, Horizon said. This article first appeared on RenewEconomy and was reposted with permission.